Our catalogues and extensive web site are available to help you identify your needs but we can offer much, much more. We don’t hold stock - it’s what you want that matters, not what we need to sell you. If you require something you don’t see in the catalogue, Alec Batchelor is always available and happy to help you find the correct merchandise for your event or campaign. Should you need ideas, we will provide fully costed and illustrated presentations, based on your brief. Any orders you place receive our personal attention at all times. With over twenty five years experience in the promotional merchandise industry, we are able to offer good quality goods at highly competitive prices. Call for a quote today. We have the backing and subscribe to the codes of practice of the leading UK and European Trade Associations. We are able to use our extensive experience to source goods of all descriptions from this country, elsewhere in Europe, the U.S.A. and Far East, all to suit your budget and timescale. 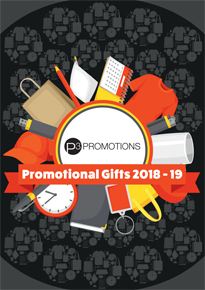 The knowledge and contacts that we have built up enable us to avoid the pitfalls that can so easily occur in providing personalised gifts and ensure that we supply the right goods to represent your company. If you don’t have the artwork that you need, we will have this produced and pass on only the cost of doing so. We understand that it isn’t always possible to plan far in advance and that goods are sometimes needed at short notice. If goods are needed for an event, that event can’t be moved and so, if time is tight, we will suggest which items can be supplied by your deadline and will do whatever is necessary to ensure delivery is made on time. We deal with reputable suppliers who we can trust not to let us - or you - down.